These powerful tablet-based coil cleaners deliver all the powerful cleaning and protection capabilities of our COILSHINE liquid cleaner at a fraction of the size and weight. No more lugging around gallons of heavy and bulky coil cleaner. 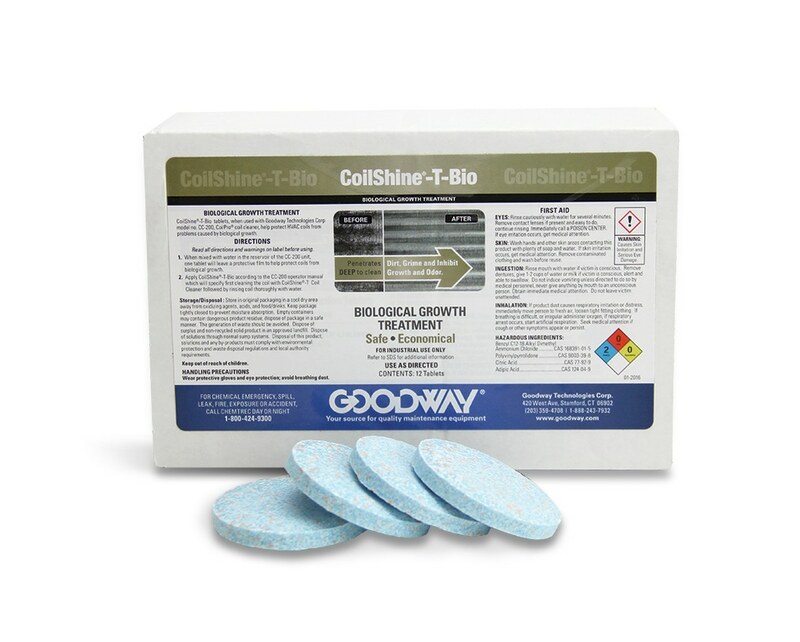 COILSHINE-T-BIO is a bio-growth treatment that reduces growth on coils. No musty odors. Comes in packs of 12 tablets. For use with CC-200 only.